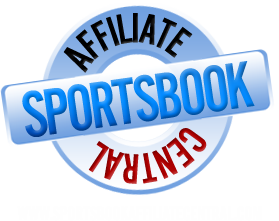 Sportsbook affiliate marketing is a pretty competitive business. So how your website looks is vital in attracting and keeping readers. How many times have you closed your browser simply because you don't like the fonts or colors used? And how many times have you left a site because it's taking a lifetime to load? Once you've taken note of what drives you off a website, be sure to NOT do the same. That's website design tip #1 - take note of the things that you like and DON'T like from a website. Improve on what you like from other sites and avoid repeating the things that you don't like from other websites. Though there are no hard and fast rules on website design, after all design is a matter of taste, here are useful and effective web design tips to make sure your site caters to most readers. Though internet speeds have increased dramatically the last couple of years, as compared to the early 1990s. Every web designer should follow still endeavor to keep pages loading fast. You might design a web site that looks fantastic but few people are going to see it if it takes a long time to load. Navigation of links on your site plays a big role in determining how long your visitor stays and explores your site. Ask yourself this, what do visitors do as soon as they open your site? They would probably read the content of the present page and then look around to find any other page that interests them. A clean layout that uses a lot of white space enhances a site's looks. Try to keep the focus on your content. Use fonts that will be available on all computers to prevent your site looking messed up. Always check for broken links within a site before uploading it to your web server. Broken links drive off readers. It makes sites less professional. Search engines also look unkindly on broken links as they make the site seem incomplete.